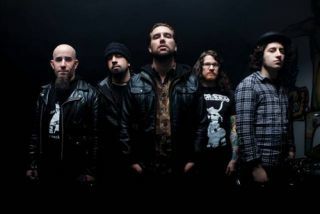 The Damned Things - the supergroup (sorry) featuring Andy Hurley - have released a heap of new details, including a cool introductory video. Take a look at the clip below to get an insight into how the band came together. By the sounds of what we've heard so far, listening to a ton of Thin Lizzy was pretty key in bringing them together. Hurley and co will drop their debut album, Ironiclast, on 13 December, after heading to the UK for dates in October.